1. 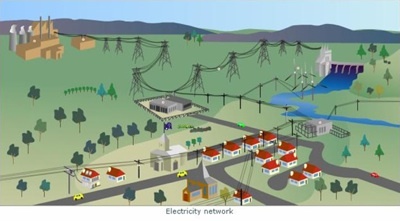 What is the name of the utility which delivers electricity to your home? Who owns it? 2. What are the boundaries of your local utility or coop? What “energy region” do they deliver power to, and where does their responsibility end? 3. Where does your regional utility get their electrons from? Coal? Nuclear? Natural gas? Hydro-power? Biofuels? Solar? Wind? 4. 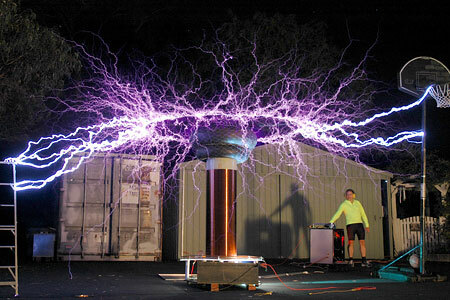 How far away from you is the nearest electrical generation plant that feeds you electrons? 5. How efficient is their transmission? How much electricity is lost between the point of generation and your home or business? Is it more or less than 10%? 6. Is the price of non-peak electricity from your utility below or above the national average? 7. Can you trace the path of gasoline from the place you usually fill up to the nearest port of entry or capture? 8. If you have natural gas in your home, where does it come from? 9. Can you trace the non-renewal fuels used by your utility to the watersheds (mines, quarries, wells) where they are harvested and processed? Is there reclamation of the watershed? 10. Does your local utility allow you to generate your own electricity and feed it back into the grid for credit (two-way metering)? 11. How much electricity do you use in a year compared to 10 years ago? 13. Does your local utility have time-of-use charges that allow you to save money by using less electricity during peak hours? What is the surcharge for peak usage? Half again? Twice? 14. If your household or company produces its own power, what percent of your total use do you cover? 15. Converted to the same units (BTUs or kilowatts) do you consume more power in your automobile(s) or in your home? 16. In a year how much water per kilowatt is consumed to generate the power you use? For extra points, how much water is used to reclaim the land damaged by the energy-extraction? 18. What the insulation factor of your primary shelter? How much power does it need to keep room temperature? 19. Do “wheelers” re-sell power on your power grid? (Wheelers do not own power lines or power plants. They purchase access to power lines and then re-sell it at higher prices on the “spot” market.) How much of your electric bill is from higher priced wheelers? 20. Do businesses have the option of “sheddable” loads in your energy region? (Earn or save money by agreeing to shut down or reduce inflow during high demand?) Does your energy utility penalize you for conserving “too much” and reducing your bill below what they expected? 21. How much of the price of your electricity (per kwh) comes from tax payer funding, public and private bonds, federal subsidies, and how much from private electricity bills? 23. What are the optimal renewable energy places (for solar, wind, geothermal, biofuels, or hydro) nearest your home? Award yourself a green ribbon if you answered more than half of these correctly. Maybe you can help those of us who failed this quiz by recommending tools and techniques that will cure our ignorance in the comments. Origins: A few years ago, I posted a watershed awareness quiz called the Big Here. That conscious-raising test was birthed by Peter Warshall in the 1970s, improved by others, and updated by me. Recently, Peter created this similar self-awareness quiz for energy power. I’ve added a bunch of questions, edited the rest, and we now offer this second assessment for your edification. Peter and I would love to hear about ways to spread the urge for power awareness. Freeman Dyson doesn’t have even a rudimentary understanding of ecology, and he routinely proposes technological ‘fixes’ that would devastate natural systems and lead to mass extinctions (even beyond what is already occurring). I don’t think he even gives a damn about living systems. Remember, Dr. Dyson is one of the gents who brought us the atomic bomb, that marvel of modern technology that has made the life of the last 60 years so tingly fresh and exciting. 20 years ago I proposed to my New Jersey Gas & electric Co that they reconfigure their computers so that they could generate a report showing the total combined electric and gas usage of the families of the children in a given classroom and then offer a prize for those classes that achieve certain conservation goals-classwide. The important thing is that we need to reconfigure our society’s information feedback so that the answers to this excellent survey are handed to us on a silver platter and allow us to use the data to motivate us to do better.